Every Wednesday from 10.00-12.45 hour at Utrecht University, campus De Uithof. Location of lectures has changed to: room BBG017 in the Buys Ballot building. First lecture: September 12, 2018. Last lecture: December 19, 2018. No class on October 3, 2018. Each session consists of 2 times 45 min. lectures and one exercise class (or computer laboratory class, or question session) of 45 min. This is a Master's course which is an elective course for students of the Master's programme Mathematical Sciences of Utrecht University, part of the Scientific Computing track and the Applied Mathematics track. The course is recommended for students in Mathematics or Computer Science who are interested in scientific computing and would like to obtain a first `hands-on experience' in parallel programming. It is also highly suitable for the Honours master programme in Theoretical Physics and Mathematical Sciences and for students interested in Complex systems or Computational Physics. The course is part of the Dutch National Master Mastermath and hence is open for all interested master students in Mathematics in the Netherlands. Registration for everybody is through Mastermath. Students will learn how to design a parallel algorithm for a problem from the area of scientific computing and how to write a parallel program that solves the problem. present the results in an oral presentation, in a clear manner, highlighting the most important ideas. You get 8 ECTS credit points. Parallel computers drastically increase our computational capabilities and thus enable us to model more realistically in many application areas. To make efficient use of parallel computers, it is necessary to reorganise the structure of our computational methods. In particular, attention must be paid to the division of work among the different processors solving a problem in parallel and to the communication between them. Suitable parallel algorithms and systems software are needed to realise the capabilities of parallel computers. 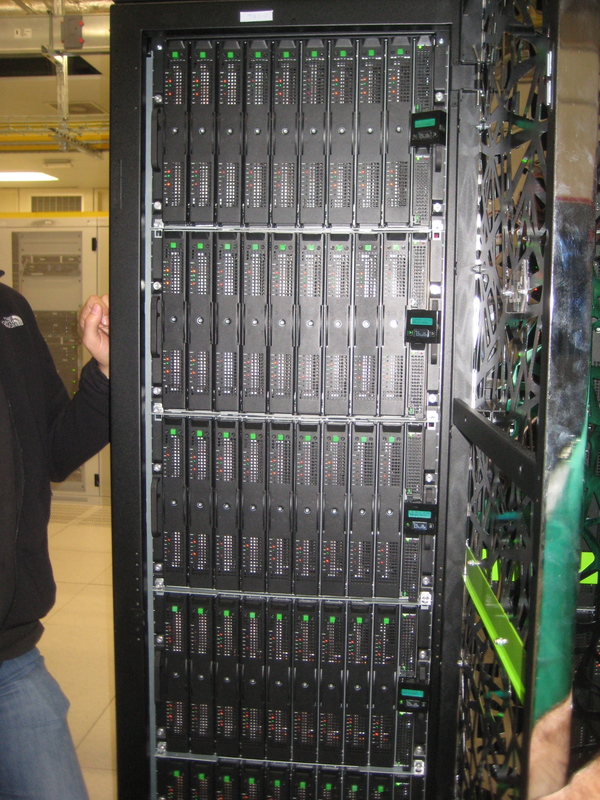 Hands-on experience in the laboratory class, using the Cartesius supercomputer. The course will be given in English. All reading material will be in English. Introductory course in linear algebra. Some knowledge of algorithms. Knowledge of a modern programming language such as C, C++, C#, Python, or Java. Basic knowledge of C is helpful, as we will use this language in class, but we will organise the course in such a way that there will be time to adapt to it for those coming from another language. There are plenty of books on C; you may consider the book Practical C Programming by Steve Oualline. You can also use C++ in class, if you already know that language. We will make use of the MulticoreBSP for C software developed by Albert-Jan Yzelman, version 2.0 (May 2018). This sofware runs on shared-memory multicore PCs, and you can also run your program with only minor changes on distributed-memory machines such as Cartesius. C++ programmers can use Zefiros Synclib as a nice alternative. If you do not possess a laptop, perhaps your project partner does (you are allowed to work in pairs). If this fails, we will find another solution for you. You will get access to the national supercomputer Cartesius, where you can install MulticoreBSP for C on one node, giving access to at most 24 cores for thin nodes or you can use BSPonMPI (already installed) or Bulk giving access to thousands of cores. The examination is in the form of an initial assignment (20%), a final assignment (40%), a presentation on the final assignment (20%), and a midterm exam (20%). The two assignments are carried out in the exercise/laboratory class and at home. A written report must be returned for each assignment before the deadline. Students can work individually or in pairs (but not in larger teams) on the computer programs and can hand in a single report, provided each did a fair share of the work and can account for that. Each participant has to give an individual presentation on the chosen topic of the final assignment. Presentations will be scheduled on 5 and 12 December 2018. The midterm exam must be passed with a grade of 5.5 (on a scale of 10). All students should submit reports for the assignments electronically in PDF format by email, to the teacher, Rob Bisseling. There is no further homework. All students must use LaTeX for the assignments. The midterm exam can be retaken at the end of the course (in December) by any course participant. The maximum of the two exam grades counts as the midterm exam grade. In case of illness, or for another urgent reason, the final presentation can be retaken on an individual basis in January. In case of an insufficient final grade for the whole course (<=5), the participant is entitled to a retake, which means that one assignment can be redone within six weeks after the final grading of the course. We closely follow the book Parallel Scientific Computation: A Structured Approach using BSP and MPI (PSC), by Rob H. Bisseling, Oxford University Press, March 2004. ISBN 0-19-852939-2. I am currently working on a second edition (PSC2), and all material needed will be given to you as handouts (and it will be tested on you!). LaTeX sources (in Beamer) and PDFs of all my slides (18 Mbyte in gzipped tar format). The sources may be of help to other teachers who want to teach from my book. Students may find them helpful too. Last update of the files: November 6, 2014. The slides are complete and they cover every section of the book (first edition). They have been converted to the Beamer macros in September 2012, and have been made up to date in the process. I am adding experimental results on recent computer architectures as we go. You can also obtain the PDFs separately. Each PDF file represents one lecture of about 45 minutes. Appendix C: Programming in BSP style using MPI, 1 (MPI-1) 2 (MPI-2). We will develop them as the second edition is written. Beta-versions will be provided below as they become available over the coming years, as separate links. U. Naumann and O. Schenk (eds), Combinatorial Scientific Computing, CRC Press, 2012. G. H. Golub and C. F. van Loan, ``Matrix Computations", Fourth edition, The Johns Hopkins University Press, 2012. This year we will cover chapters 1, 2, 4 of the first edition and chapter 5 on graph matching of the second edition. (PSC section 1.2) What is a parallel computer? Why do we compute in parallel? The Bulk Synchronous Parallel (BSP) model by Valiant comprises an abstract machine architecture, a framework for developing algorithms, and a cost function for analysing the run time of algorithms. The BSP architecture is a set of processor-memory pairs connected by a black box communication network. BSP algorithms consist of computation supersteps and communication supersteps. Communication is costed as h-relations. The BSP cost of an algorithm is expressed in machine parameters p, g, l. The computing rate is r flop/s. Motivation of the cost model: bottlenecks at the entrance and exit of the communication network. (PSC section 1.3) My First Parallel Algorithm: the computation of the inner product of two vectors. Possible distributions: cyclic and block. Data distribution leads naturally to work distribution. Communication is needed to add local inner products into a global inner product. Single Program, Multiple Data (SPMD) approach: we don't want to write 400 different programs for a machine with 400 processors. One-sided communication is a great invention (in parallel computing, at least;). In class: Exercise 1.2. No need to hand in. 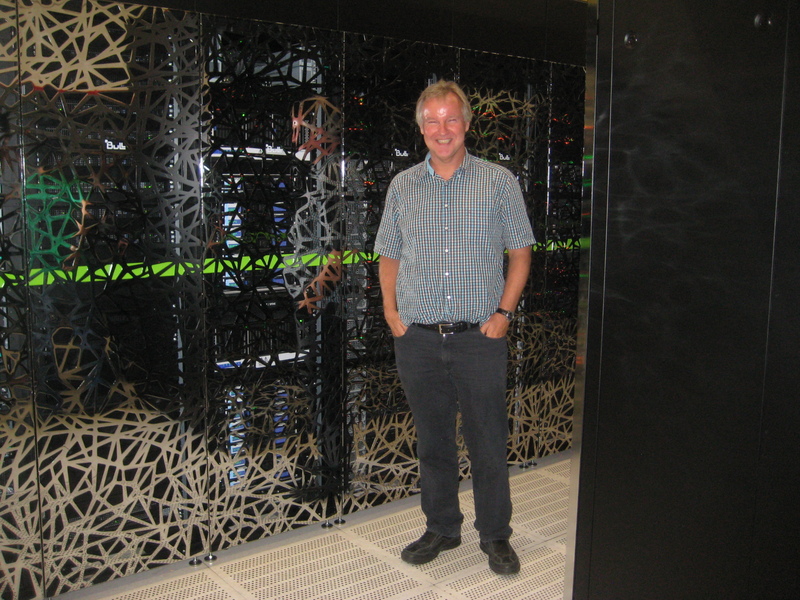 Top 500 of supercomputers in the world. SURFsara in Amsterdam, home of the Cartesius national supercomputer which we will use in our laboratory class and homework. It is a Bullx machine. 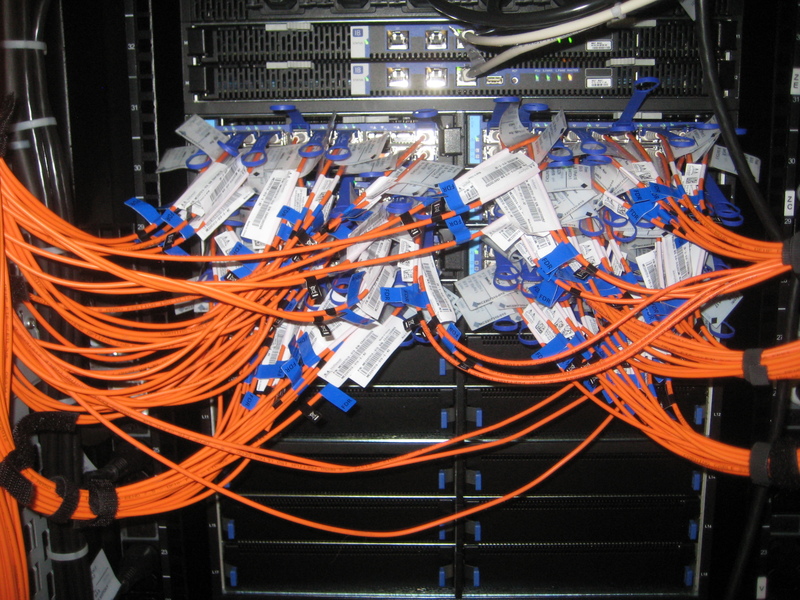 Cartesius currently has 47,776 cores organised in thin and fat nodes and 132 GPUs. Its theoretical peak performance is 1843 Tflop/s. BSPlib, the Bulk Synchronous Parallel library. MulticoreBSP software for C developed by Albert-Jan Yzelman. Version 2.0 released May 20, 2018. It is recommended you use this version on your own PC running Linux or MacOS. Please follow the excellent Quick-start guide step by step. For questions on Windows see the MulticoreBSP Forum. BSPonMPI by Wijnand J. Suijlen. Implementation of BSPlib on top of MPI, enabling use of BSPlib on almost every parallel computer. Please note, the latest version is 0.4 and can be downloaded from the website of the BSP Worldwide organisation. It has been installed already at Cartesius. It is loaded by the command 'module load bsponmpi'. Computer Laboratory BYOD (from 12.00-12.45 hour): starting with BSPlib. New material, presenting the BSP approach to sorting by regular sampling. Will become section 1.8 in PSC2. Will become section 1.9 in PSC2. Start working on the first assignment, Exercise 1.7 from PSC2. Design a parallel algorithm for prime number generation. Write your first parallel program. This program should generate all prime numbers below 10,000,000 in parallel. Choosing the right distribution is the name of the game. Hand in a report on Exercise 1.7 (in PSC2) presenting your algorithm and the experimental results, before the deadline Wednesday October 17, 10.00 hour. Note that you can work in pairs. Guideline mathematical writing by the Department of Mathematics, Utrecht University, a must for those writing a report for this course. Vimtutor, found to be useful if you want to learn some vi editor commands on the Linux system. Continue work on the prime number sieve. Discuss your approaches with me. Exam material: the handouts of Chapters 1 and 2. 11.00-12.45 Midterm exam on Chapters 1 and 2. Room 042 in the Ruppert building. Exam material: only the material of the handouts. Note the different location. Interesting links, previous exams from the archive. Exams from 2012, 2013 only on Chapter 1 of the material (60 minutes). Exams 2017 on Chapter 1, 3 (90 minutes). Abstract: The programming landscape today is vastly different from when the BSPlib interface was conceived. Modern programming languages have useful features compared to e.g. the low-level C language, but most are not yet suited for high performance computing applications. Bulk is a novel programming interface and library for BSP programs, that leverages modern C++ to strike a balance between performance, expressability and safety. In this talk, I will introduce this library, and show the differences between Bulk and BSPlib by discussing the code for common tasks in both interfaces. Paper (accepted mansucript): Bulk: a Modern C++ Interface for Bulk-Synchronous Parallel Programs by Jan-Willem Buurlage, Tom Bannink, and Rob H. Bisseling, in Proceedings Euro-Par 2018, Lecture Notes in Computer Science, Vol. 11014, Springer, 2018, pp. 519-532. Published version. Today's slides on Bulk by Jan-Willem Buurlage. (PSC section 4.1) Introduction to application of sparse matrices. Sparse matrices and computerised tomography. Today's slides on sparse matrix-vector multiplication by Jan-Willem Buurlage. solve Exercise 5.8 (new) write a parallel program for computing betweenness centrality on a graph. solve Exercise 5.9 (new) on optimal bipartite graph matching. Please try to discuss the chosen topic with the teacher before November 14 and register the topic. You can work in pairs, but have to give individual presentations on the topic. To ensure diversity of the presentations, all topics must be different. First come, first serve, so register once you know you want a topic. Discussion of first assignment and midterm exam. (New material, will become section 4.6 of PSC2). (New material, will become section 4.10 of PSC2). Work on your final project and discuss it with me. Slides on the medium-grain method by Daan Pelt and Rob Bisseling, presented May 2014 at IPDPS'14. A medium-grain method for fast 2D bipartitioning of sparse matrices by D. M. Pelt and R. H. Bisseling, Proceedings IEEE International Parallel & Distributed Processing Symposium 2014, IEEE Press, pp. 529-539. Mondriaan, Mondriaan version 4.2 has been released on September 14, 2017. MondriaanOpt for optimal sparse matrix bipartitioning, Database of optimally partitioned matrices for 2 processors, with nice pictures. Today's slides on parallel graph matching. Parallel Search, Wikipedia page about speeding up search algorithms (such as employed in computer chess) by parallelisation. A Parallel Approximation Algorithm for the Weighted Maximum Matching Problem by Fredrik Manne and Rob H. Bisseling. Please fill out the Mastermath digital evaluation form. Deadline second assignment Wednesday January 16, 2019, 12.00 hour. Hand in a report (by email, in printable PDF) before the deadline. Please use the batch system of Cartesius and not the interactive system for your test runs. The interactive system is only for development. Running your parallel program on hundreds of processor cores will give you a bonus. Efficient Parallel Algorithms (CS329) at University of Warwick, UK, by Alex Tiskin. Parallel and Distributed Programming (CS236370) by Assaf Schuster, at the Technion, Haifa, Israel. Optimization Techniques for Parallel Code 1. Parallel programming models by Sylvain Collange, Inria Rennes – Bretagne Atlantique. Parallel computing by Albert-Jan Yzelman and Dirk Roose, KU Leuven.